I installed a Buderus GB142 about six years ago. It ran perfectly for the first two years and then the problems started. Long story short (as possible) I first had problems with the heat exchanger getting an accumulation of a crust that looks like grey lava which plugged it up. Since then there have been several calls for problems that all seem to be related to condensation. Today I got a 6L code. I reset the boiler and it fired right up. Later my wife discovered a "leak" which ended up being from the trap on the exhaust stack. I took that apart and it was full of a fine black grainy material. I cleaned and flushed this out and reset the boiler again. Then I got a 6A fault code so I called my tech. When he got here he discovered that the burner was plugged with "corrosion". He cleaned it and all seems well for now. Years ago when this first started we thought maybe the intake and exhaust were too close together so I then installed a taller exhaust stack. It is about 10' tall and outside the building. I asked my tech of that was too much and he said that he felt that the drain for the exhaust would handle any amount of condensate the could be generated by the unit, but I'm thinking I went the wrong way and should have re-routed the exhaust off to one side and slanted down to get rid of as much condensate as possible. Another thought we had was that the black/grey material might be particulate from neighboring wood stove. So.....................any thoughts on this would be welcome. Was the tapped tee Buderus supplied with the boiler installed as close to the boiler on the horizontal run? Yes, There is a stack about 16" to get up above the cellar wall, then an elbow and then the tee. total length of about 24"
The "trap" comes out of the bottom of that tee. 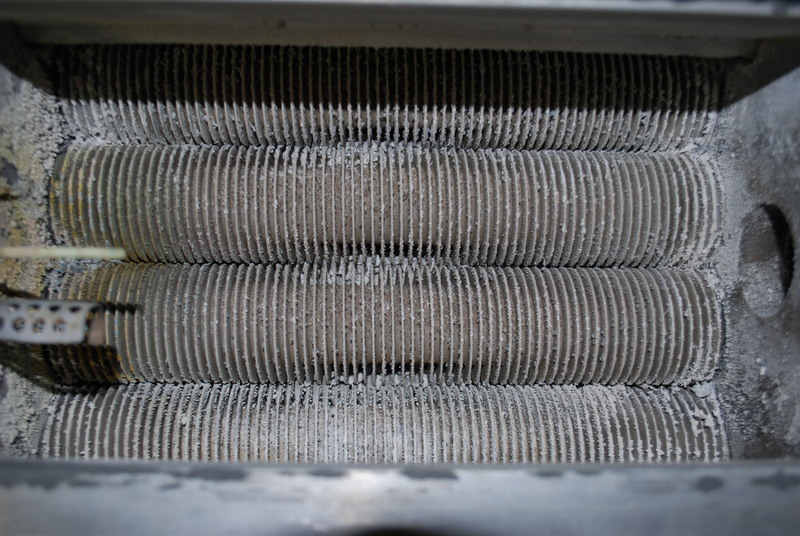 How often have you been having the boiler cleaned? The fact that the burner itself had corrosion in it smacks of something definitely being amiss. 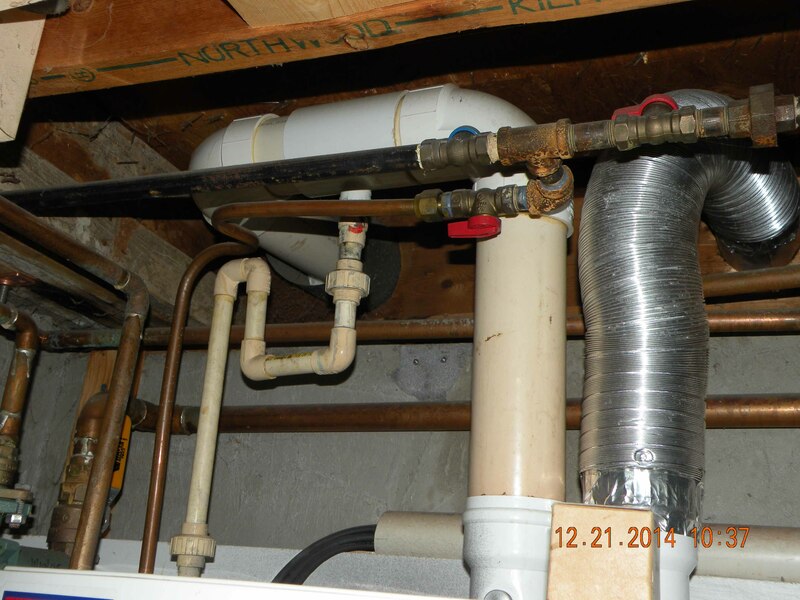 Can you post some pics that include the flue piping and its termination? Has the condensate trap been cleaned? I will post tomorrow (Sunday). (too dark for photos now) Yes I just cleaned the traps today. (both of them) The tech usually does this while cleaning. Here is my set-up inside. Is it LP or nat. gas? IMO, the PVC exhaust inside has been getting way too hot. The pipe is almost brown, but gets lighter the closer it gets to the wall. There are "rules" about traps. That one violates some of the rules. The "trap dip" is too long. The water in the trap and condensate is getting really hot. The pipe and fittings are tan. They were white when installed if they were installed 8 years ago. Genova hasn't made Yellow PVC for years. With a trap dip as deep as that, it could easily fill up with crud, if differential exhaust pressures could allow the condensate to flow back into the boiler. The exhaust pipe outside is bright white. Unlike inside. Is there any possibility that the PVC pipe is foam core? It usually has black writing on it and says it isn't to be used for pressure. Or Exhaust venting. That long exhaust is a serious problem It should have never been raised that high. 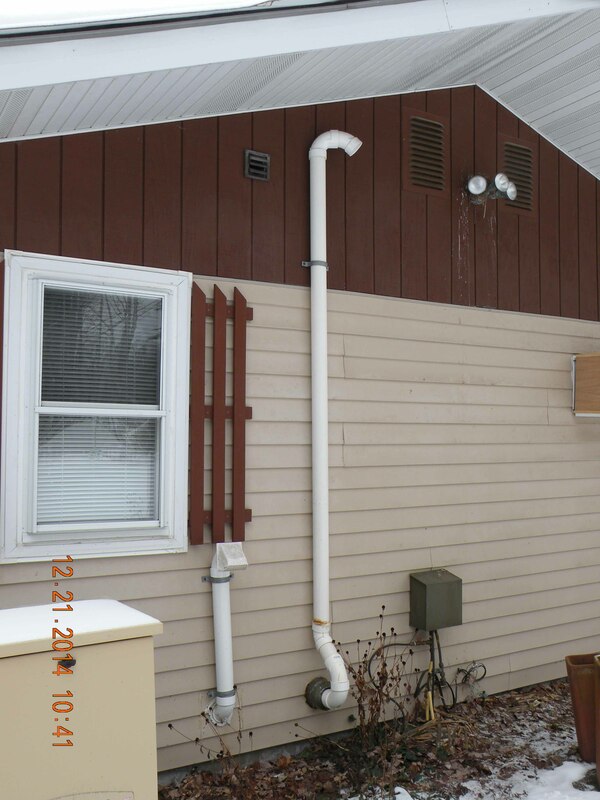 The cold outside exposure will cause the pipe to become cold and increase the condensation of the flue gas. IMO, you should have moved the intake AWAY from the exhaust, not the other way around. 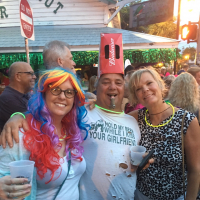 Show that photo to Buderus and see what they have to say. The exhaust developed length to termination is way too long. The intake isn't as important. which side of the generator is the exhaust on? the aluminum intake won't rust but will corrode. it should be pvc as well. icesailor, Wow, good thoughts. I looked up in my records and this was installed 10/13/05, so it's a little over9 year old. The trap piping isn't Genova brand. It's a Canadian brand and the entire run all the way to the end (12'?) is that same color. Not saying it isn't getting hot, just can't tell from the color of the pipe. As for the trap, I'm assuming your saying you think I should drop that large up turn (on the left) but the drop from the tee is ok? That makes sense and I'll do that. Are you thinking I should also drop the first vertical pipe out of the unit and go right to an elbow and then the drain tee? How would that effect how hot the exhaust pipe gets, or do you feel that there are other issues causing that. The unit is within the recommended specs. After reading your post I looked things over and although the pipe is discoloring, the elbows appear "normal" color. It is not foam center pipe. This is either Genova brand or equivalent and was white when installed. I also agree that I might have screwed up by installing that tall outside pipe. I'll see what I can do about that. I may have to rebuild right from the unit, but if that's what I need, so be it. wogpa67, Not sure what your question is. Are you referring to the standby generator? The exhaust from that is at the opposite end of the generator from the intake. OK on the corrosion, I agree and will look into that also. I don't have access to the vent tables for that boiler. But with all the pipe outside, the pipe will get cold. Increasing condensation. The "Trap DIp" is the distance from the water level in the trap where the water drains out and the bottom inside of the trap. It is usually expressed in X number of pipe diameters. Like if it is three pipe diameters, and the drain was 1", the trap dip should be 3" deep. That's just an example. The way that drain is piped, the trap is considered a Full "S" Trap. Bad. I've not seen the piping diagram, but often, those connections have a vent on them. You need atmospheric venting to keep the water flowing. LP seems to get some debris in the exhaust. If the trap gathers crud in the bottom of the trap, it will slow the draining. 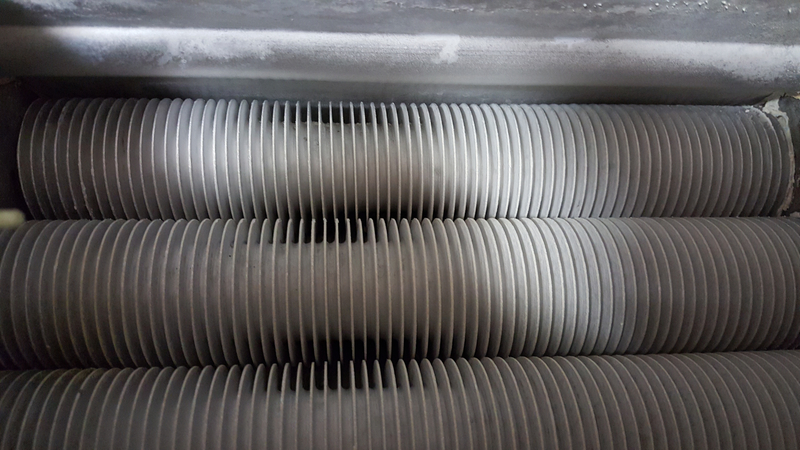 With the amount of condensation you can get with that long cold vent, the drain could easily fail to drain adequately. Insects can get into the vents. They'll plug the trap. As long as the intake vent is 12" + the biggest snowfall of one storm in January (usually found in City-Data database. 26 to 30" are a good place to cut it. Just cut the exhaust down to that level. Be sure to put bird or insect screens on the fittings. When the exhaust overheats, the pipe turns dark. The fittings stay lighter. Sometimes, almost pure white. Genova changed their pipe to white when they changed the code from grey or white only for PVC, and grey for conduit. In any case you should not have elbows connected directly, there should not be more than 24" of length total exhaust pipe exposed to outside. See attached. If you don't know, when using PVC/DWV fittings, "Long Sweeps" make for less restriction. They have the same radius as a standard pattern 45' and a St. 45'. Massachusetts has just instituted a rule about using chimney flues for exhaust vent chases. They MUST be sealed at the bottom because they can not be used for make up air. They don't want any chance of CO being brought back down the flue and into the building. I agree with the other comments and would add one more: has anyone noticed the bad joint on the exhaust line after it makes the "belly" and heads upward outside? It looks to me like it's leaking there and that leakage would be pulled back into the intake. The intake should not be that close to the LP regulator unless its vent is piped farther away, neither should it be that close to the generator's exhaust. Obviously, the manufacturers instructions were not followed there. Those two rusty gas fittings above the boiler may have been caused by flue gases. Or not. Uhm, I just looked at the large view of outside. Notice that there are a LOT of connections to the LP gas regulator, all no bigger than 1/2" OD? No cleaner used on the PVC pipe and the first vertical ell is leaking badly on the top. Leaking water. Then, that's the end of a dryer vent on the end of the intake. Is the backdraft baffle taken out? How well is the boiler running when all the other gas appliances are running? What's the gas pressure at the burner? With redundant safety controls, that boiler could cycle on and off until the load dropped and someone might not notice that things are wrong. The scuzz/rust on the malleable black fittings is leak detector that wasn't wiped off and dried. The whole thing is under piped as far as the gas. A good place to start, and why some need to purchase digital gas pressure meters. It looks like the penetrations and some of materials from the previous appliance were used over. Was a digital combustion analysis done when the boiler was installed? Did they give you the results? So I am curious - I have had the same problem with the gray lava like deposits in the exhaust trap (and plugging it up) and building up inside unit causing leaks. QUESTION: what is this gray lava like ash or material from? - it is ruining the unit. I have taken apart and it is all over inside the unit and burner area also. It now leaks water out the unit before the trap. Am waiting on a new gasket as it is bad (looks like not installed correctly at factory). May help to start a new thread and give us the background. I've seen a number of these with the build up. In most case's it's due to combustion set up and or lack of cleaning. 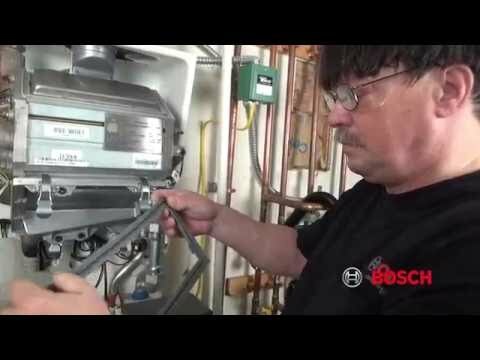 When the cleaning is done, are they pulling the upper and lower plates, water washing the boiler and then running it in high fire to clean it? I've had some unit's it takes multiple cleanings to clear the debris. I also clean the gunk out of the trap every time and on the last cleaning use mineral oil to help keep it clean.. Mineral oil works better than mineral spirits, which is flammable. There is a combustion Side Cleaner that works really well on Aluminum HX. Its call AXI-Therm CLEAN F9A & F9B. Its from Axiom. Here are some before and after pictures. Captain, WOW !!!! That is clean. I usually do mine 2x with the mineral oil, but it's NEVER that clean. Few questions please. 1. Is the AXI-THERM product corrosive to the heat exchanger? 2. Do you know if Buderus will void the warranty of the HX if I use the product? My boiler is 12 years old, but the HX is only 3.5. 3. Do you follow the same procedure the Buderus recommends: IE spray the F9A on, fire it up for 10 mins, rinse with water, then do the F9B ? What is the exact procedure you used with these products? 4. How many iterations did you have to run the products through to get it that clean? That is remarkably clean. Lastly, the cleaning procedure TSB from Buderus says to spray/paint the mineral oil on, let it soak in for a while. Fire it up for 10 minutes on hi fire, and then rinse with water. When I do this, I can't get it to stay on hi fire for more than 3-4 mins. It appears that it reaches 192 deg, and shuts down on high limit. Thoughts? I just got a price quote on the stuff. Not inexpensive. $134 I suppose if it lasts for 10 cleanings it will pay for itself pretty quickly. Yeah crank the heat. Then hit the chimney sweep button and that will put it into test mode so it will run longer.